Do you know that everything is made of Energy? When you are by the ocean, can you sense an energy from the water? While in a forest, can you connect with the energetic pulse between plant, animal, and environment? What about a human being, can you sense how they are feeling, their energy? There are many systems available today that work on improving and balancing your energy. Whether you use meditation, acupuncture, reiki, energy medicine, EFT (tapping) and even others; the premise that the flow and balancing of energy is critical to the health of all physical structures within the body as well as the spiritual, mental and emotional well-being. Since an energy practitioner works with energy and all things are made of energy it makes perfect sense that significant results can be achieved. Using Energy techniques can re-establish disorganized or sluggish energies, increasing your vitality, enthusiasm, peacefulness, health, excitement which all can have a positive effect on your physical body, mind, emotions and spirit. Healing starts from within and using these alternate energy forms of treatment, as well as other modalities of self-love, affirmations, and intentions, one can be empowered to create the well-being and happiness they desire. If you are experiencing any symptoms: physical, mental, emotional, or spiritual you may want to consider scheduling a Reiki session. You do not have to be in a crisis to benefit from Reiki. Check out more about Reiki under FAQ tab. As a certified Reiki Master, intuitive, physical therapist and an emotional ergonomist, when you schedule a Reiki or coaching session with me, you get an integrated, comprehensive program or treatment session that is specific to you and creates significant results on all levels. Clients are always pleased with their outcomes. Read some of the testimonies available. In our bodies, we have many energy centers controlling, pushing, transmitting and receiving energy from outside to the inside of the body and vice versa. There are seven key energy centers, known as chakras, which are the main governing parts of our physical body as well as emotional and spiritual aspects. Chakras are vortexes where energy is flowing counter-clockwise or clockwise depending on the chakra location and gender. 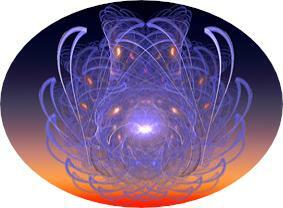 Chakras energy flow can become clogged and even flow in the wrong direction. 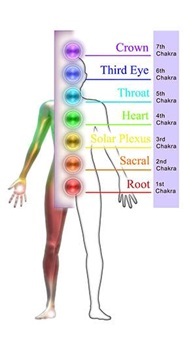 These pulsing centers of energy run in a straight line, connecting to each other, through the center of our body, beginning at our tail bone which is referred to as the Root Chakra, and ending at the top of our head at the Crown chakra. Subsequently these two chakras are both connected to the Earth below us, and heaven above. Each chakra is integral in providing our bodies with the required energy it needs to function and be healthy on all levels: physical, emotional, mental, and even spiritual. The seven main chakras in order are the root, sacral, solar plexus, heart, throat, third eye and crown chakras. When these energy centers are open and spinning as they should, you would typically lead a happy, confident and healthy life. When a chakra is not working effectively, an individual may experience discomfort, pain or experience characteristics associated with that particular chakra. The longer the energy is impeded the greater the impact within the body and more significant the symptoms. Many factors can affect a chakra functioning properly and therefore your energy. Here are a few causes: pollutants, toxins, chemicals, radiation, medication, negativity, stress, anxiety, illness, anesthesia, surgery trauma and events that put you into a survival mode. Let me give you an example, if you were going through a prolonged, painful event, your emotions and thoughts may impact different chakras. For some of you the constriction or flow could be experienced in your heart chakra while others may be affected in their root chakra. There are many reasons for this, let me provide you with a scenario. If you have learned in your lifetime, to not openly express your emotions, then your heart chakra most likely would be affected. If you had a difficult childhood and struggled with who you are, the root of your existence, then the energy flow most likely would be affected at the root chakra. Quite often there may be a few chakras impacted, but by restoring, balancing and opening up the chakras, a resurgence of energy is obtained and often the symptoms dramatically improve. When an individual chakra becomes blocked, and significantly impacted, you will begin to notice various symptoms from this blockage that will manifest themselves in your body and subsequently your life. Depending on which chakra(s) are effected, will determine the impact on your physical health and problems that you may encounter. Some situations could be tied to a lack in confidence, difficulty with decision making, self-worth issues, a loss of passion or sensuality, loneliness or a loss in faith and so many other concepts. To help understand this idea, I like to have people think of energy in your body as blood in your body. If the blood is restricted to a certain part of your body then that area would be at a greater risk and ultimately suffer, become symptomatic, and could become necrotic and die. Likewise, Energy is vital to the health of your body any disturbances in energy flow could have similar reactions to that of a blood loss. Often lay people as well as medical praticitioners feel that because energy is difficult to see, calculate and reproduce than it is not a reliable form of treatment, and are not convinced of the results. But they are wrong, numerous doctors, alternative practitioners have shown time and time again, powerful, even miraculous healings from energy treatment protocals. The use of energy modalities can positively affect many illnesses, relieve pain, reduce stress, anxiety, improve memory, circulation, coordination, enhance digestion, relieve arthritis, fibro-myalgia, mental clarity and the list is really endless. Since an energy practitioner works with energy and all things are made of energy it makes sense that significant results can be achieved. 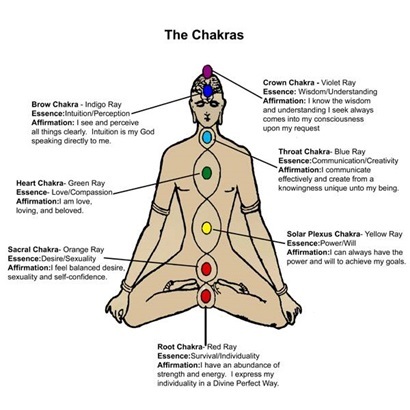 This chart indicates what each chakra’s focus is. In addition, an affirmation is provided to assist you with manifesting an improvement of those condition. For example: someone who struggles with communication, having a voice, feeling unheard probably has a blocked or negatively throat chakra. If this is not improved, this individual may experience chronic sore throats, TMJ problems, Oral or facial dysfunction, throat diseases, as well as, have a raspy, hoarse voice or have an extremely quiet voice. The Meridian is the pathway which carries energy within your body. The Aura is a multi-layered shell of energy that encapsulates your body and interacts with the energies of your environment. It is a protective atmosphere that surrounds you, protecting, shielding you from harm. It also brings in energies and sends energy away from your chakras. The Triple Warmer is located in the body with the main function being survival. We often refer to it as the Fight and Flight Response. There are times that this protective mechanism can stay in overdrive and eventually causes harm to the body in some way. If you are experiencing any symptoms: physical, mental, emotional, or spiritual you may want to consider scheduling a Reiki session. I am a certified Reiki Master, intuitive, physical therapist and an emotional ergonomist so when you schedule a Reik or coaching session with me, you get an integrated, comprehensive intervention that brings significant results on all levels.